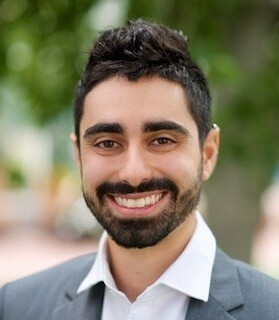 Oren Nimni joined Lawyers for Civil Rights in 2017. Oren’s legal practice focuses on cutting-edge constitutional litigation on behalf of people of color and immigrants. Oren is currently litigating the first lawsuit filed in the country against the Trump Administration to save Temporary Protected Status (TPS) on behalf of Haitian, Honduran and Salvadoran immigrants. He is also litigating the first lawsuit filed in the country to block federal officials from conducting immigration arrests in state courthouses. His work in these groundbreaking cases has received significant national attention. Oren employs a community lawyering model. He is deeply embedded in the community, and regularly advises grassroots organizations on policy and legal matters. Prior to joining the organization, Oren was a partner at the Community Law Office, a Boston-based firm. At the Community Law Office, Oren provided holistic representation to low-income clients and community organizations in criminal and civil matters. Previously, Oren worked with the Prison Litigation Assistance Project helping to protect prisoners’ rights. Oren served as a Steering Committee member of Law for Black Lives and on the Board of the National Lawyers Guild. He is currently the legal editor of Current Affairs magazine. He is a graduate of Northeastern University School of Law where he helped co-author an employment rights manual for domestic workers in collaboration with the Brazilian Workers’ Center.